For perfect fitment of your Forge Motorsport Blow Off Valve, use a custom made Blow Off Vavle Adapter. 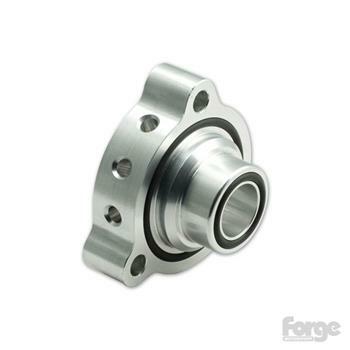 Manufactured to the same quality standards as the Forge Motorsport Valves, these adapters make installation a snap. These kits allow the relocation of the diverter valve to the cold side of the intercooler.